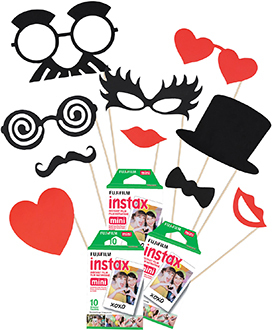 Add comical flair to the photos you take with family and friends. Simply attach the wooden sticks to each prop with the enclosed tape. 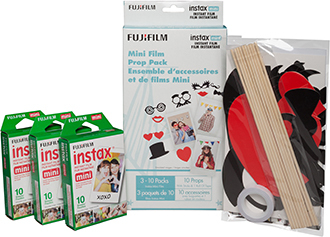 The prop pack includes Instax Mini film making it an ideal add-on to an Instax Mini camera or printer.